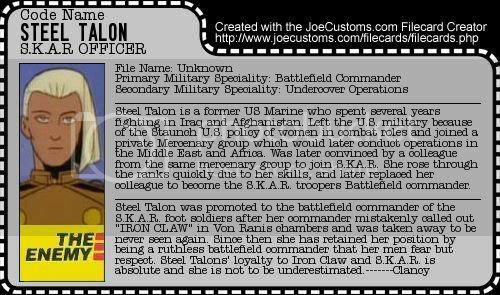 Steel Talon : Declassified- BLOOD FOR THE BARON!!! Okay okay this character only showed up in the first episode never said a word and was never addressed by name. So where did Steel Talon come from? Well in alot of voice character list or early character list, a Steel Talon Shows up in writting as does a Nelson and a Sawsad. 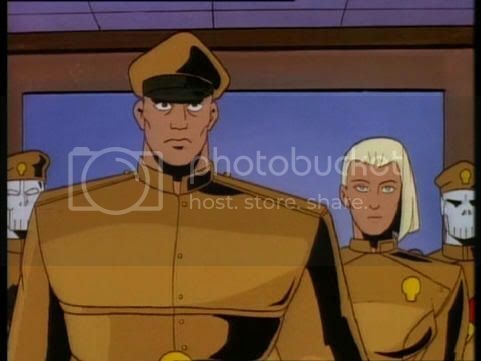 Who are these characters , who knows,! thier obviously names for characters that got a name changed later on for what ever reason. 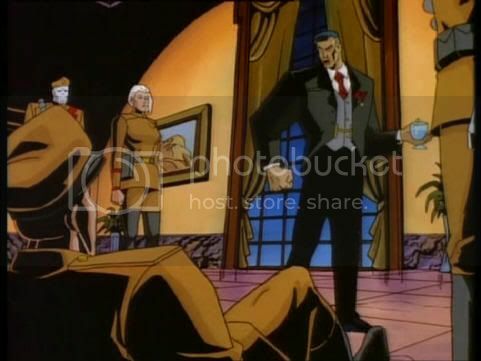 There is a Steel Raven that would appear in the episodes 11-26 as Iron Claws right hand lady, but it can't be the same person, as Steel Raven has black hair and is shown in a flashback scene in season 2 prior to losing her eye. So they cant be the same person and So hey no need to let a cool name go to waiste! 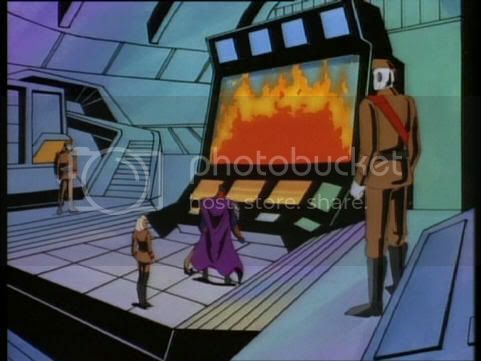 This character really did show up in the show as you can see from the screen caps. I am just fleshing out the character a little more. 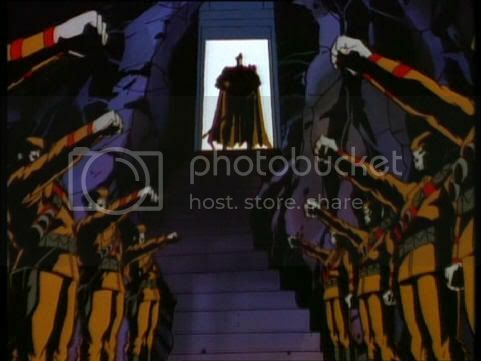 SHe is shown standing behind her obvious superior when he walks into Count Von Rani's chamber and saise Iron Klaw. He gets knocked down on his feet and Iron Klaw says to take him away and punish him. He then turns to Steel Talon and saise "You've been Promoted" ! 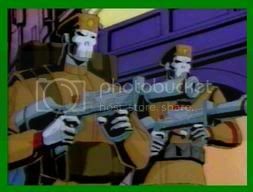 She is later shown in the episode a couple of times standing behind Iron Klaw. She was obviously a important person but sadly after this episode she was never show again. In any case she was a cool character that I would have loved to have seen more of. 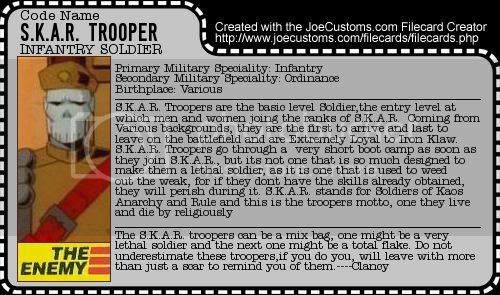 These Troopers are the backbone of S.K.A.R. they have thier own pilots and vechile operators. Most are trained to be able to fight on the battlefield on thier own feet , driving a tank or operating a gun battery.